Posted on June 16, 2012	by Lou Murray, Ph.D. I am so far behind, mostly because I have no clue how to process photos with my new iMac (and I work two part-time jobs, and have a community garden plot that is filled with weeds and rocks, plus all my new raised beds at home = OVERLOAD!!!) . Here is an attempt to catch up with what is going on in my garden. 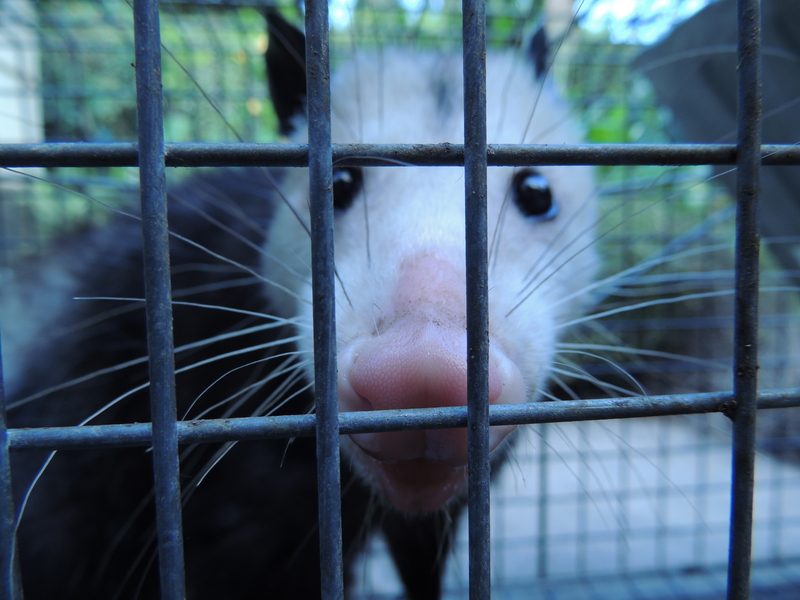 This may be the same possum as the baby possum that i showed earlier, but we did catch two of them. i photographed the raccoon with my other camera, and pics are still in that camera. Caught another opossum plus a HUGE pregnant raccoon and relocated them. The night critters will devastate my garden if I don’t keep trapping and moving them. I’m growing my garden for me, not them. Discovered why my Snow Queen nectarine tree has LOTS of new branches on the bottom and almost no leafing out on the established and stronger upper branches. I left the tag on too long. The string was polyethylene, not cotton string, and didn’t degrade. The string has cut the bark of the growing tree, nearly girdling it. The bark has grown around the plastic string, so I can’t remove it now. The upper part of the tree is getting almost no nourishment. I may have ruined that tree, which is too bad because it had a great shape. Consequently, we are getting only one Snow Queen nectarine this year. Our first red tomato, Mortgage Lifter. It isn’t red enough to harvest yet, but it’s close. 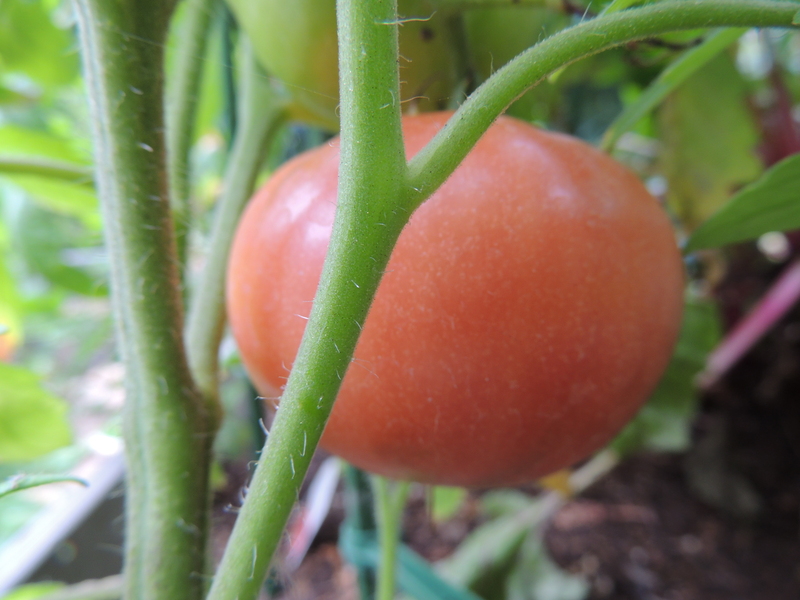 Mortgage Lifter has won the race for which tomato is going to ripen first. It beat out Early Girl. Others that are full sized but still green are early Girl, Box Car Willie, Amish Paste, Big Russian Paste, and Black Plum. The others are straggling and struggling. 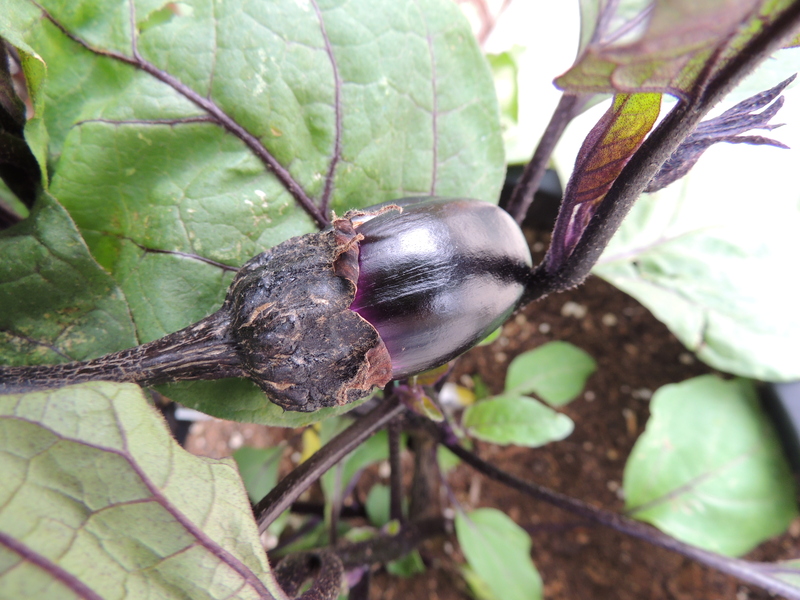 The first eggplant has set fruit. This one is Millionaire. Ah, this one is in focus. I can’t see the tiny, tiny thumbnails on my iPhoto library well enough to see which one to choose. My first butternut female flower, not yet open. This has a long way to go before harvest time. My pumpkin patch. I planted one each Rouge Vif d’Tampes and Queensland Blue for each of my three little granddaughters who live in San Diego. My two big granddaughters are in college in the Seattle area, so I can’t grow Halloween pumpkins for them. 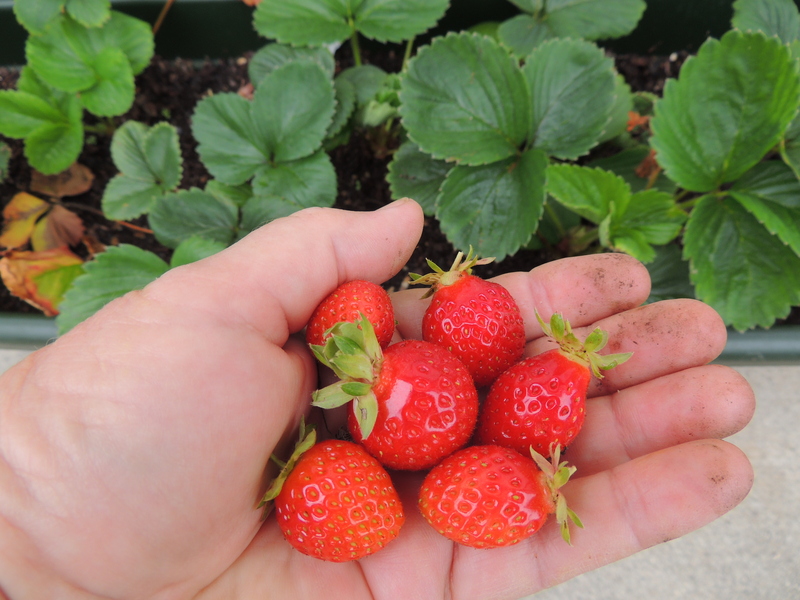 A typical strawberry harvest, just enough for a bowl of cereal. 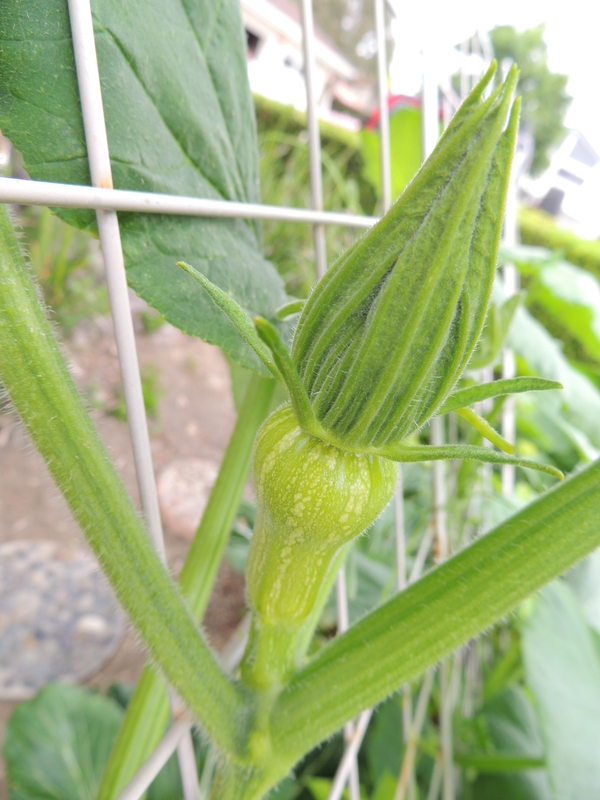 The pumpkin that I thought was going to be a New England Pumpkin looks like it is going to be a Kuri. Not a pumpkin at all, but a winter squash. Don’t know yet if it is a Red Kuri or a Green Kuri. I had seeds of both in my compost pile, from whence it sprang. The other mystery “pumpkin” is producing an oblong squash of some kind. Very interesting shape. This is not a pumpkin that I have grown, but a parent of a hybrid methinks. It remains to be seen how big it will get or what it will turn into. I’m thinking that it is a banana squash or maybe a spaghetti squash. Time will tell (I hope.) I would post photos, but I can’t tell what is what in those itsy bitsy thumbnail photos. 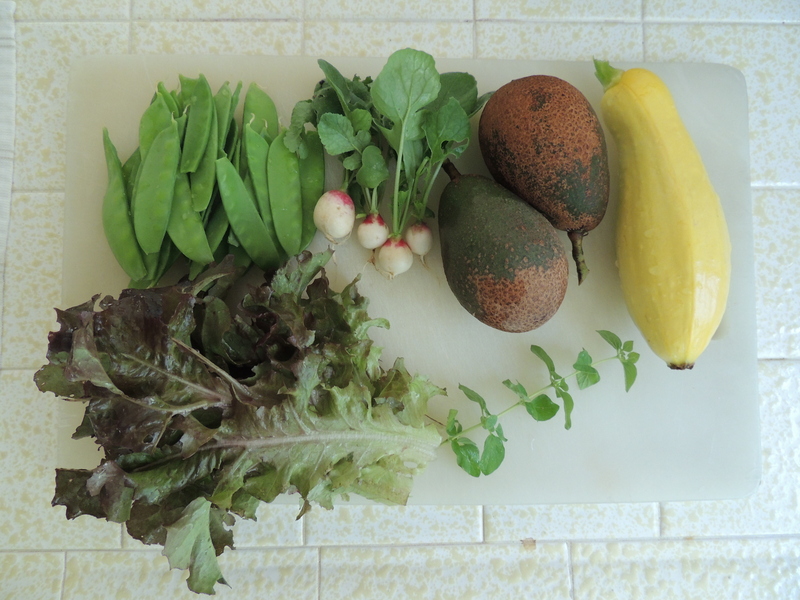 One day’s harvest last week of yellow squash, snow peas, lettuce, half my Dutch Redhead radish crop, and some oregano. I’ve missed the past two Harvest Mondays, but I have had harvests. Small ones, but with a nice variety of veggies and fruits. I would love to upload my processed photos of said harvests, but I can’t figure out how to upload from Aperture, which is where I process the photo as best as I can. Maybe I have to put the photo back into iPhoto to upload it to WordPress. Arg, is there no end to the frustration of learning a new computer system? I can edit my pics in Aperture, but can’t seem to upload them from there. So these are my unadulterated photos from iPhoto. Bear with me. 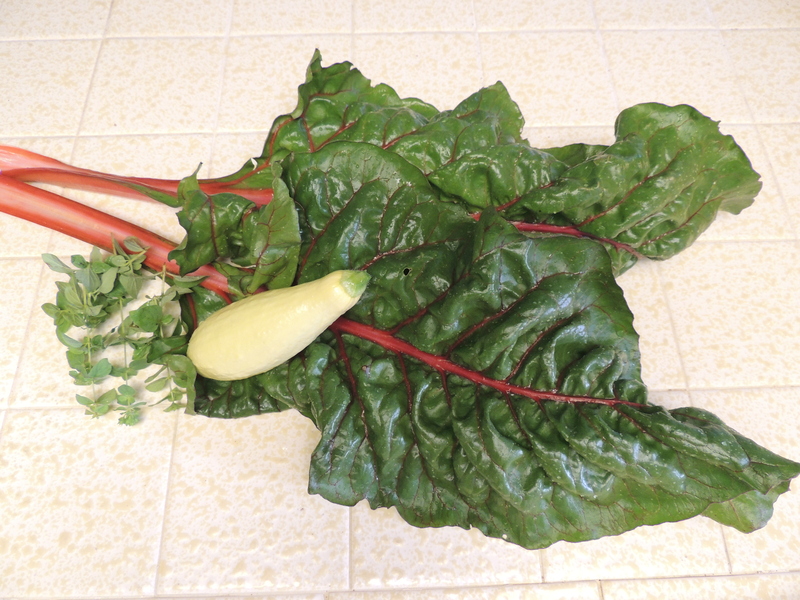 A day’s harvest of chard. I only harvest as much as i want to cook that day. Otherwise it just goes bad. Oh look, there is a yellow squash hiding in that photo. Didn’t see it on the thumbnail. I can’t remember when I last did a Harvest Monday post, but here is what I harvested for the week ending June 10. Don’t laugh, my garden is small. Visit Daphne’s Dandelions to see what others harvested. I'm a retired medical researcher, retired professional writer/photographer, avid gardener, and active environmentalist living in southern California. I wrote a weekly newspaper column on environmental topics in the Huntington Beach Independent for many years. I also supervised environmental restoration projects and taught at the Orange County Conservation Corps before retiring in the summer of 2016. 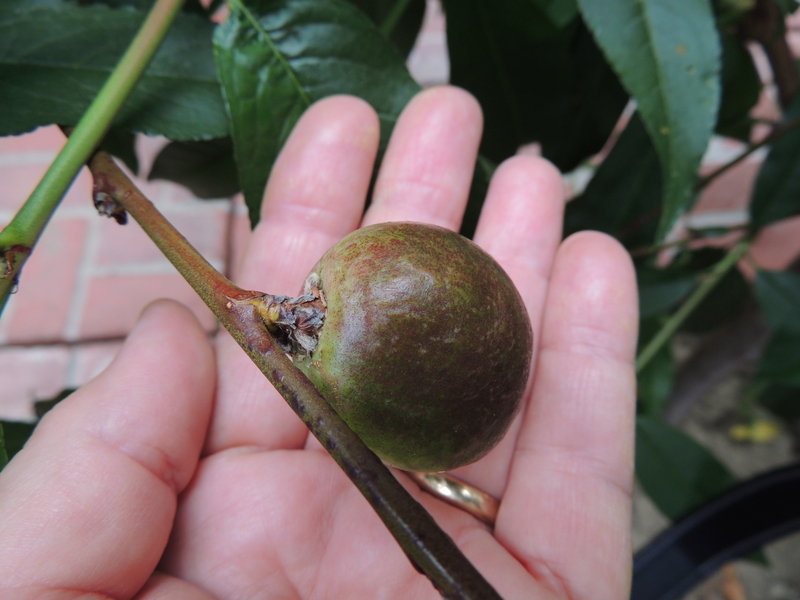 This blog chronicles my efforts to live a green life growing as much food as possible for my husband and myself on a 4,500 sq ft yard that is covered mainly by house, garage, driveway, and sidewalks. I am also dedicated to combatting global climate change. 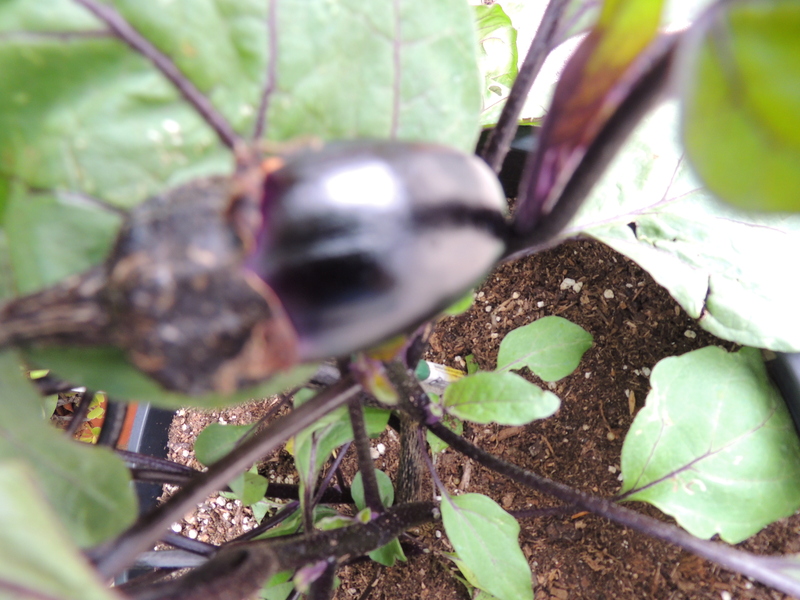 This entry was posted in Uncategorized and tagged Aperture, first ripe tomato, Harvest Monday, iMac, photography, vegetable garden. Bookmark the permalink. How long will the tomatoes hold out? Bee Girl at Sky Minded and Ever Growing Garden, hens, and bees in Santa Fe, NM. From Seed to Table Michelle gardens ten miles from the Pacific Ocean in the hills of Carmel Valley of California, with vegetables and chickens. Garden to Wok Norma Chang’s cooking and gardening blog. Greenhorn in the Garden Turling’s new vegetable garden in southern California. 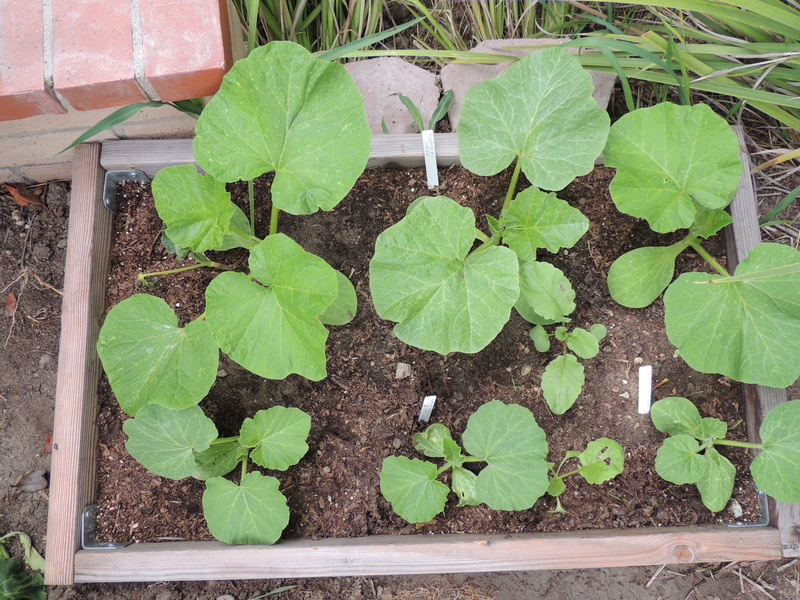 Grow It, Can It, Cook It Caroline’s northern California blog about growing and preserving produce. Henbogle Ali’s beautiful and productive vegetable garden with chickens in Maine. Liz at Suburban Tomato Liz’s Down Under vegetable garden blog. Sicilian Sisters Grow Food Stefaneer and Denise write about their northern California gardens with fruit, veggies, bees and hens. The Corner Yard Ribbit’s square foot vegetable garden in Georgia. The Enchanted Earth Meredith’s vegetable garden in South Carolina. Local Harvest Where to find local farmers who sell direct to the public, farmers markets, CSAs, etc. Save the planet. Grow a garden.